If you want to track the data of sub domain for your site, you needto be made to the initial Google Analytics tracking code. 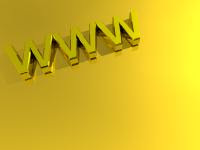 A sample for subdomain tracking code is given below. The primary domain should replace example.com. What would happen if you only placed the modified on code on pages on the subdomain, but left the un-modified code on all pages on the main domain? pages contained un-modified code will not tracked by analytics.